Andrew Buchanan has over thirty years experience curating work for half a dozen Art Galleries and Arts Centres throughout the UK, as well as 25 years experience as the Director of many of them. For 12 years he was Director of Fairfields, the major Art Gallery and Visual Arts Development Organisation in North Hampshire. As well as exhibiting work by artists of the stature of Hirst and Banksy and curating work by artists from US, Europe, China, India, Japan, the Middle East and Africa, he strongly supported regional artists, and set up and managed Artists’ Studios, Commissions and Artist Development programmes. Many artists he selected to work with have since gone on to win national and international awards, and exhibitions he has curated have gone on to tour nationally and internationally. He has worked as a Consultant and Advisor for many arts organisations, including an Arts Minister, Arts Council England and academics, including assessing and advising many arts organisations and their Boards on their cultural and organisational development. He set up and led a public and private sector partnership for many years resulting in a successful £5,750,000 Lottery Application for the new Arts Centre Complex in Southampton. Colin is a full time artist and studio holder at Art Space. 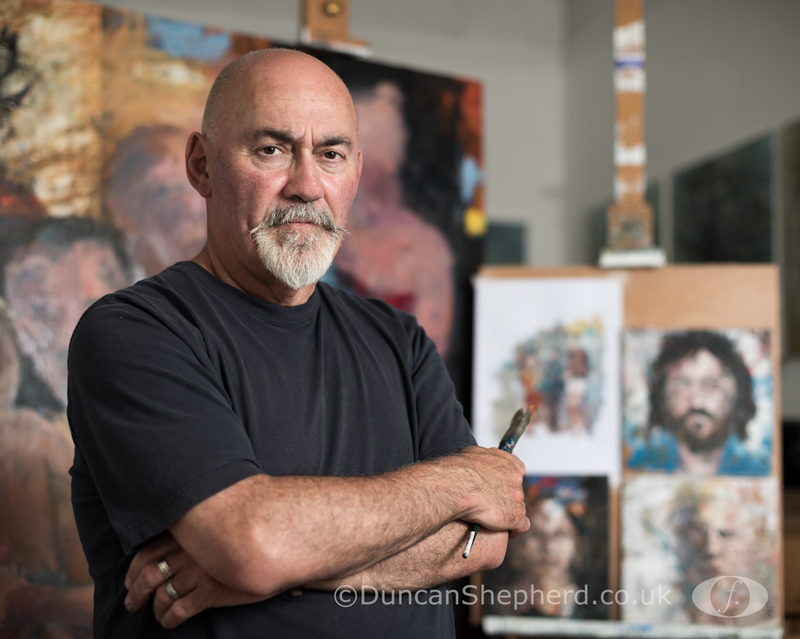 A mixed media painter, his work has been exhibited in numerous galleries and exhibitions throughout the UK as well as internationally. Although he works mainly with oil, acrylic and collage, he is also an award winning watercolourist and elected to the Royal Watercolour Society in 2009. He was a member of the RWS council until May 2018. He has work in many private collections including the royal collection and the British Museum. Colin's current work focuses on developing intuitive and subjective narratives around the human head and figure, commenting on the ambiguity and absurdity of meaning. He believes Portsmouth has a wealth of artistic and creative talent, largely based at Art Space, but also spread throughout the city. He thinks Portsmouth’s artists need and deserve a higher profile than they currently have locally and beyond the city and wants to work towards raising that profile. 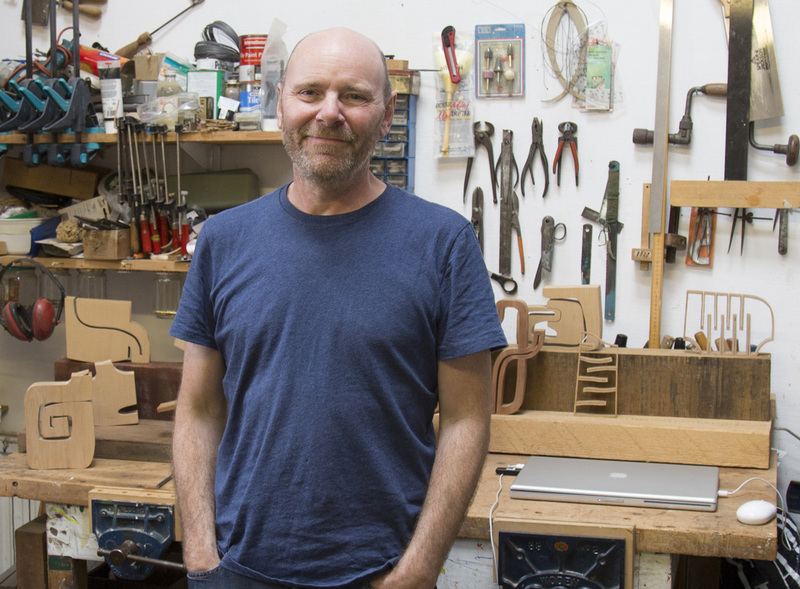 David is a sculptor working primarily with wood and has been a member of Art Space Portsmouth since the 1980s. David also works in the University of Portsmouth as a technical resources manager within the Faculty of Cultural and Creative Industries. communicate, understand and explain the world. company of like-minded and committed artists. Bridget Lloyd has been a studio holder and member of Art Space Portsmouth since 1984. She has exhibited her work as part of Art Space Portsmouth group shows and at open studio events. Her work is about the forces and energies in landscape. Bridget is interested in the divisions and boundaries imposed on the land by natural and human forces. Bridget is also involved in education teaching Art and Design to 11 – 16 year olds at Portchester Community School. Denise Callender is an experienced curator and promotions manager at the University of Portsmouth with an undergraduate degree in Fine Art and a master of arts in Curating Contemporary Design. Denise project manages public facing events and exhibitions which include the Faculty of Creative and Cultural Industries annual Graduate Show. Public Engagement is a key part of her role and she especially enjoys working collaboratively to develop educational projects, commissioning creative practitioners to inspire young people and to de-mystify research. Partner organisations include Aspex Gallery, Portsmouth Cultural Trust, Art Space Portsmouth, Portsmouth Festivities and Journeys Festival International. Denise lives in Southsea and is passionate about the arts and the City of Portsmouth. She is married to Jonty and has two children Marcus and Natasha. Tim Sage is a self-employed architect living and working in Southsea – since 1984 - specialising in building conservation. Before settling into full-time practice, he had been a technical editor for the weekly journal for architects, and for three years a full time university lecturer in architecture in Malaysia, and subsequently part-time for a number of years at the University of Portsmouth. He has exploited every opportunity of introducing art into architecture, and has commissioned a number of works for clients. He was responsible for designing the disabled access to the Brougham Road gallery and subsequently its conversion to studios. He hopes to assist Art Space in assuring the future of artists’ studios of the highest standard in well-maintained and serviced accommodation. Emma is a contemporary photographic artist based on the Isle of Wight. She graduated with a BA in Photography from the University of Portsmouth in 2015. Her artistic practice explores ideas of how we interact with the world around us through the use of everyday objects. 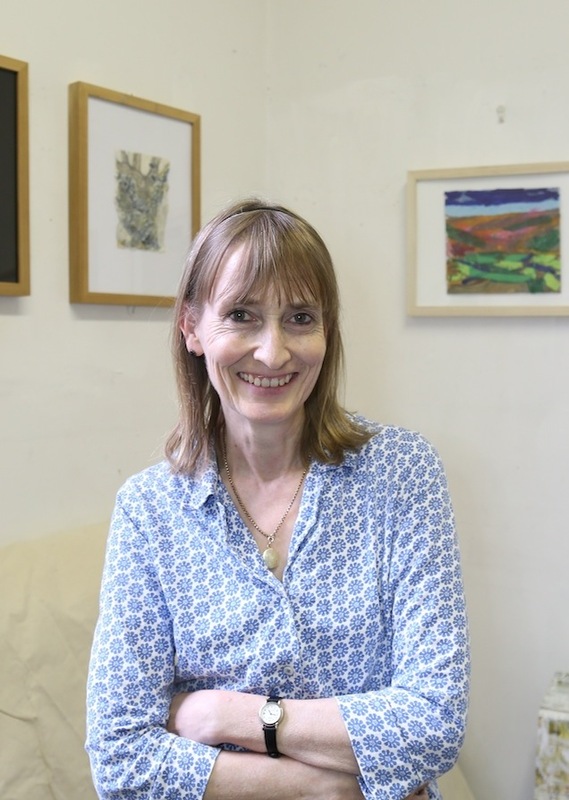 Emma is passionate about the arts and enjoys visiting galleries and exhibitions as often as she can. She also enjoys reading, blogging, and learning about philosophy.